An exciting opportunity presented itself to me through my membership on the Lower Frederick Township park board. 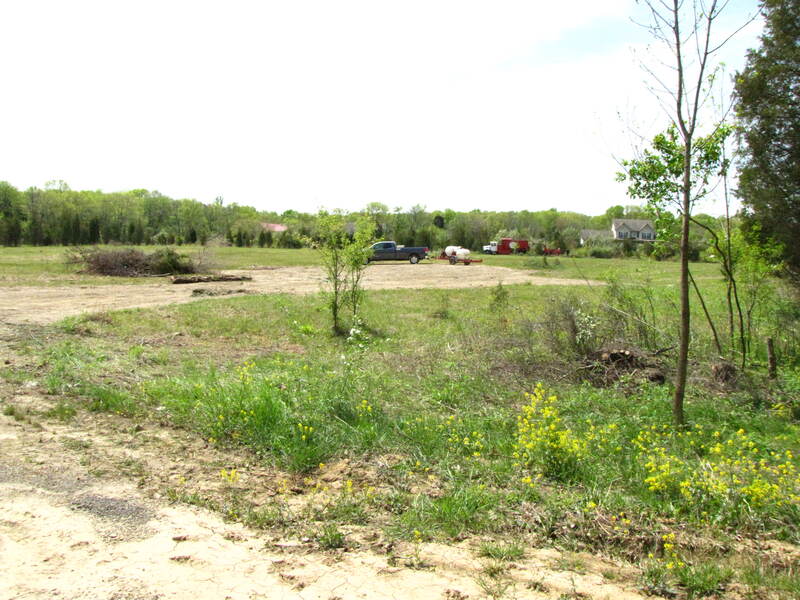 In 2011 the board had been discussing uses for the one of the areas of vacant land that had been acquired using Montgomery County Open space funding. 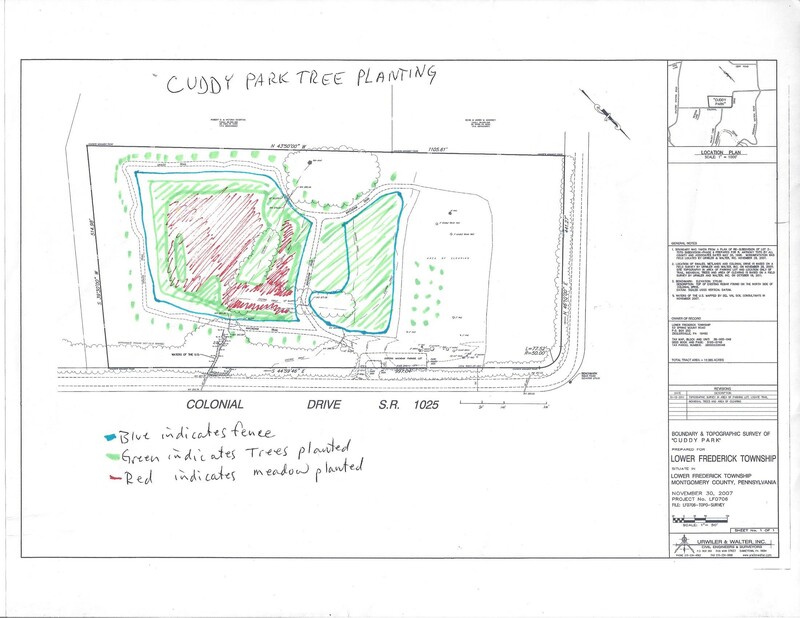 “Cuddy Park” was an old farm field that had been out of production for about 20 years and grew into a young forest of eastern red cedar and a mixture of invasive shrubs. There was little diversity of species such as in normal hardwood forest regeneration due to the extremely high deer population in the area. 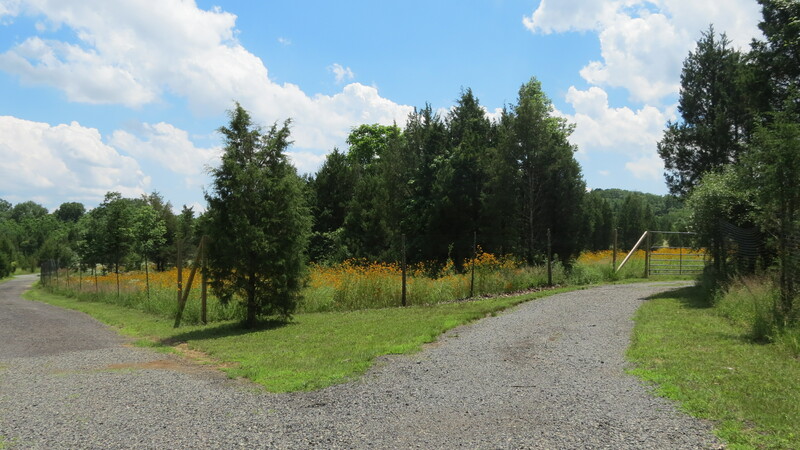 Acquired by the township in 1997, the only improvements to date had been construction of a small parking lot and partial completion of a gravel path. 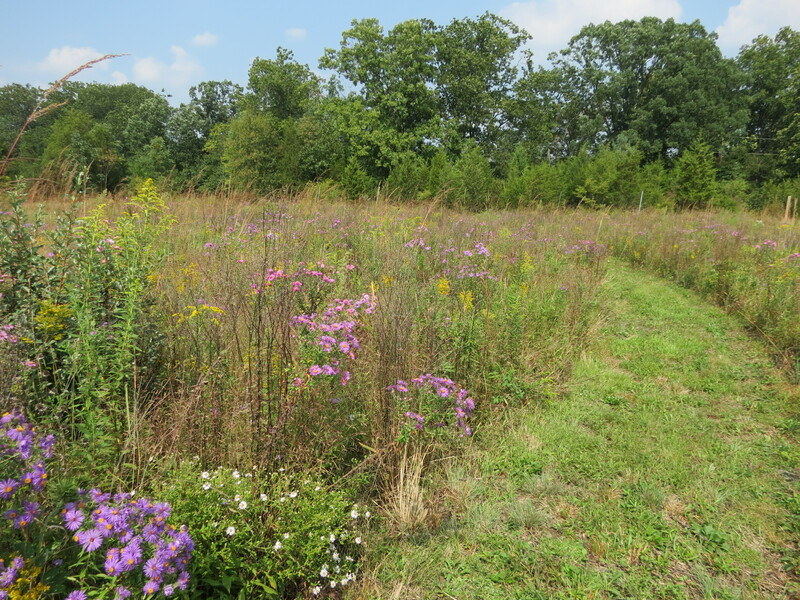 Since the township supervisors had no immediate plans to spend money on any improvements for active use, I suggested turning a portion of it into a wildflower meadow. The idea was well received, however the supervisors were still in no rush to approve spending. 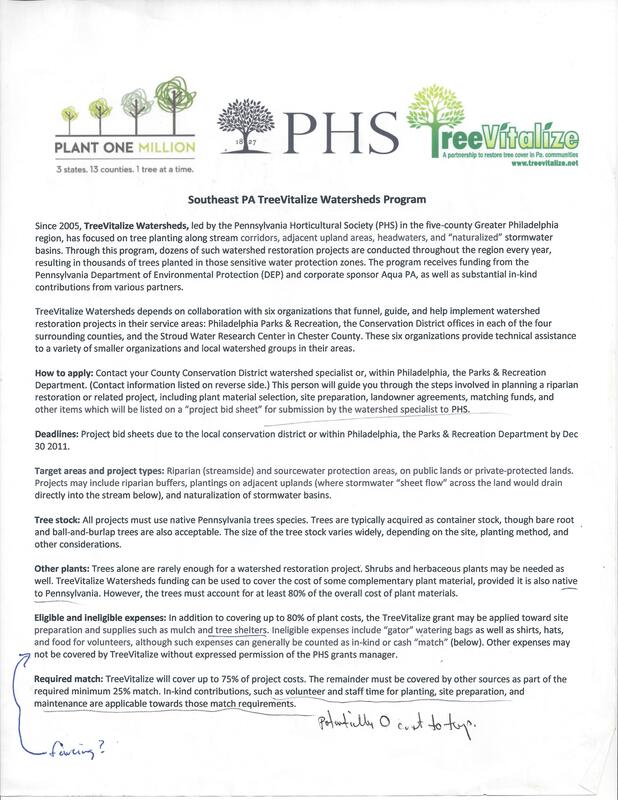 Then, near the end of the year, our township manager, Tamara, showed me an application for grant funding from the Southeast PA Tree Vitalize Watersheds program and asked me if I’d be interested in doing the work necessary to put in a grant proposal. I jumped at the opportunity, thinking it could be the ticket for funding the meadow! I studied the application and learned that the goal of Tree Vitalize Watersheds is to fund tree planting on stream corridors and the land that impacts them. 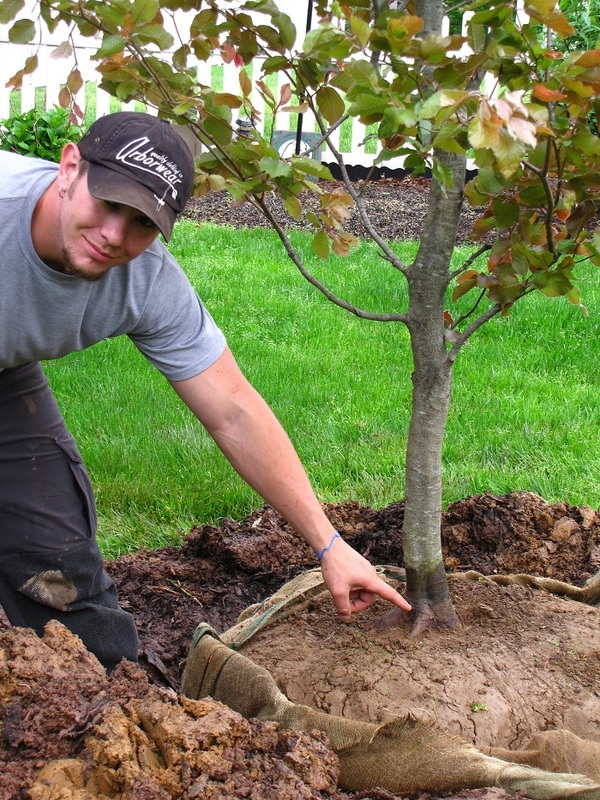 The grants cover the cost of trees, shrubs, and herbaceous plants and some of the expenses of planting them, as long as 80% of the cost is for trees. 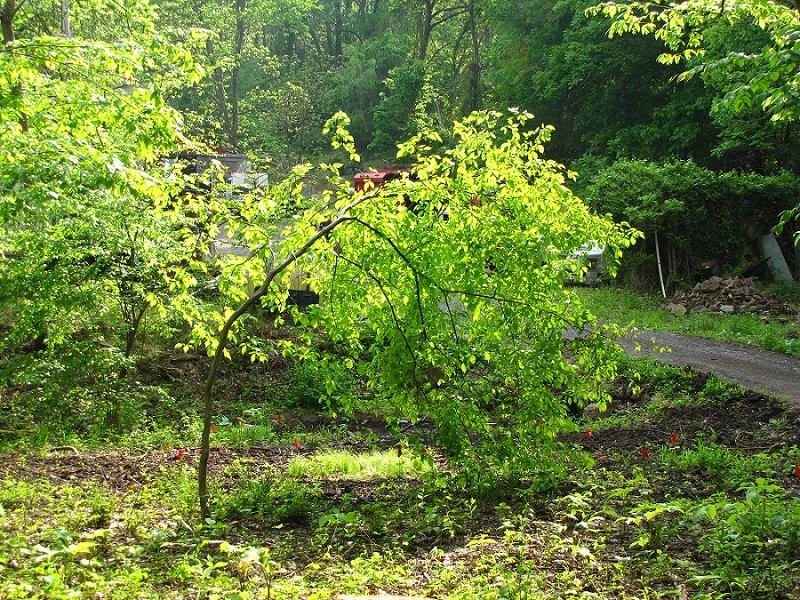 All plant species must be native to Pennsylvania. 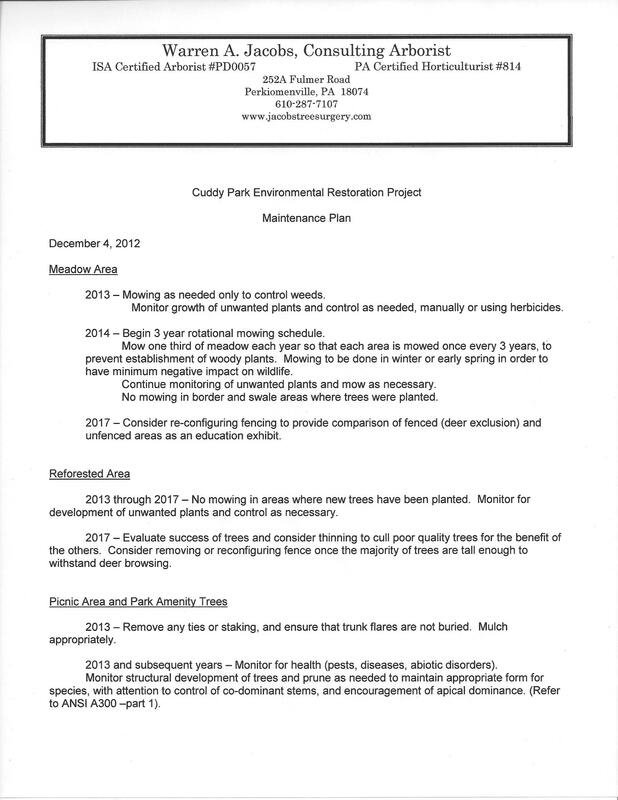 Having been advised that the program prioritizes planting large numbers of trees, I put together a plan that included many small trees, as well as 2 acres of native grass and wildflower meadow, all protected by seven foot tall deer exclusion fencing. 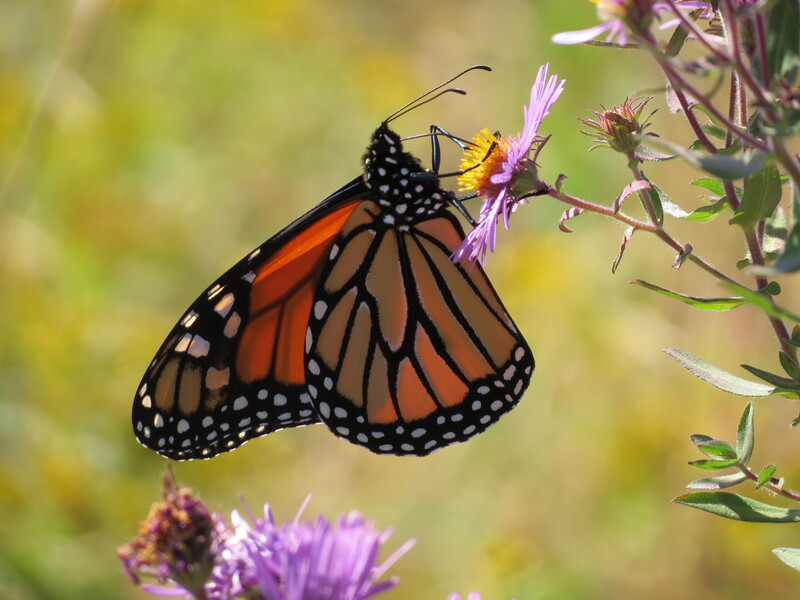 The proposal was turned in to the Montgomery County Conservation district –the grant administrator- just in time for the December deadline, and to my delight it was approved! 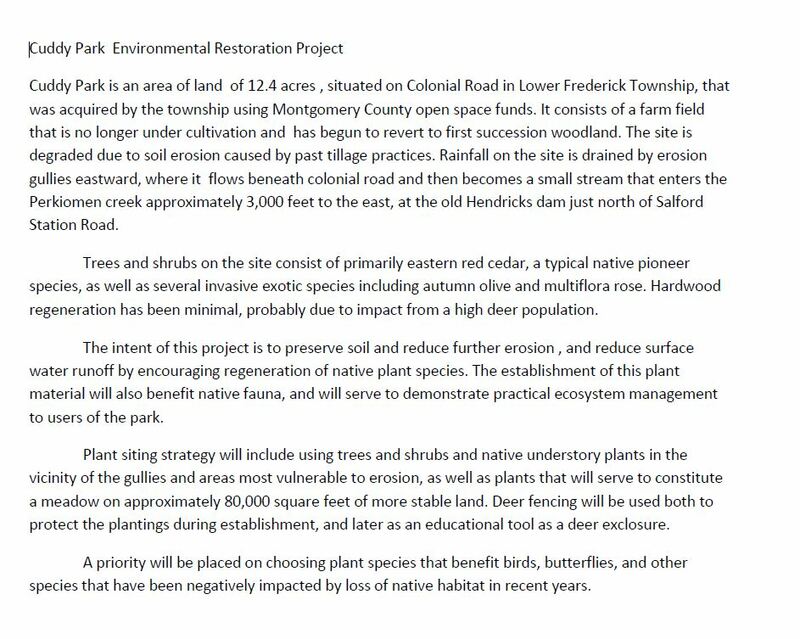 The others on the park board as well as our Lower Frederick Birdtown group were enthusiastic about implementing the project and decided to schedule organizational meetings to figure out how to get the work done. The grant was to cover up to 75% of the costs of the project, with a minimum of 25% to be borne by the grantee. Fortunately, any work done using volunteer or staff time could be applied to the match requirements! Since we intended to do much of the work using volunteer help, and my donated professional services could also be applied to the match, the end cost to the township would be minimal. The supervisors liked that part! And with my promise to see the project through to completion, they all agreed to sign approval for it. Then it was time to plan a timetable for the work. 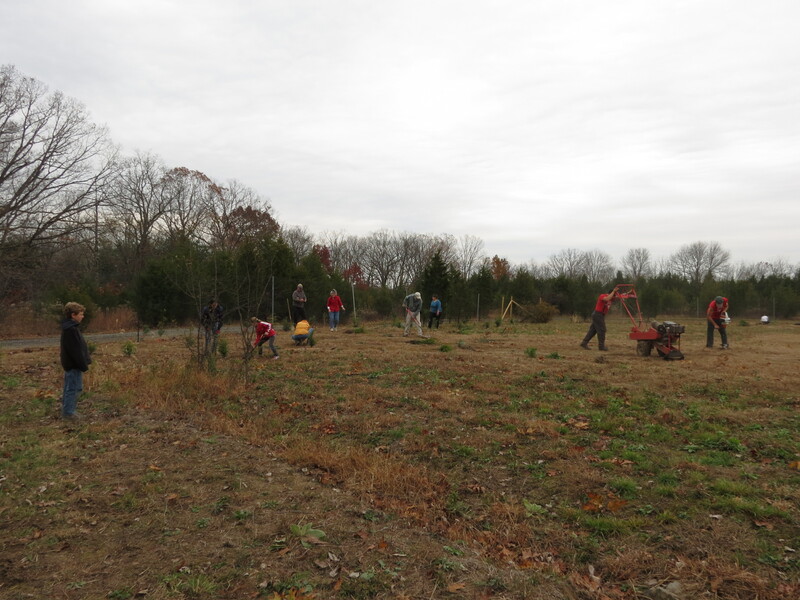 We scheduled several workdays in the early spring to work with anyone who would volunteer their help for clearing away the invasive shrubs and cedar trees at the proposed meadow site. 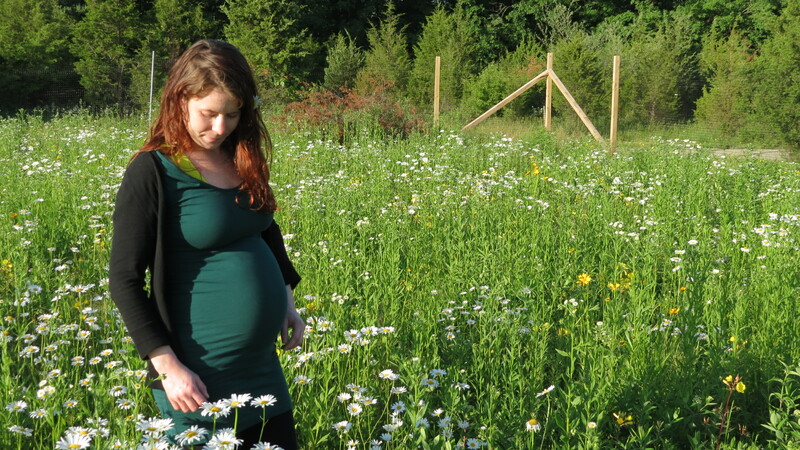 I already had lots of ideas of what to plant in the meadow. 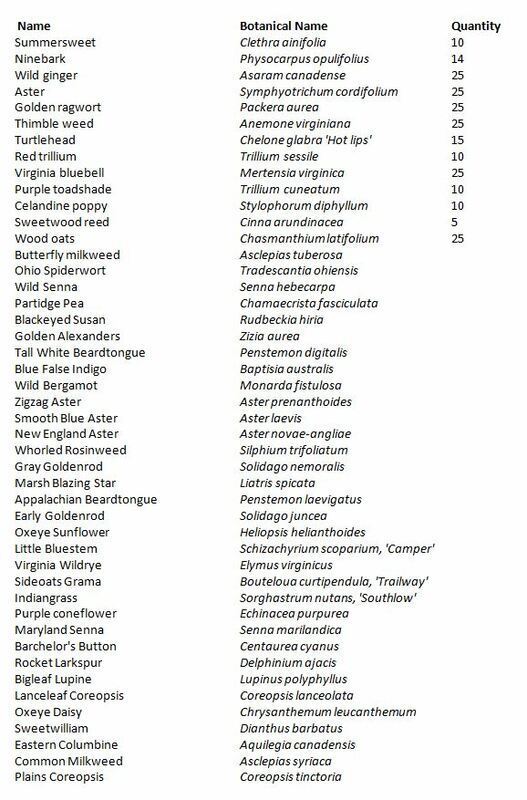 Because I’m a butterfly enthusiast, I wanted to include a lot of butterfly larval host plants in the seed mix. 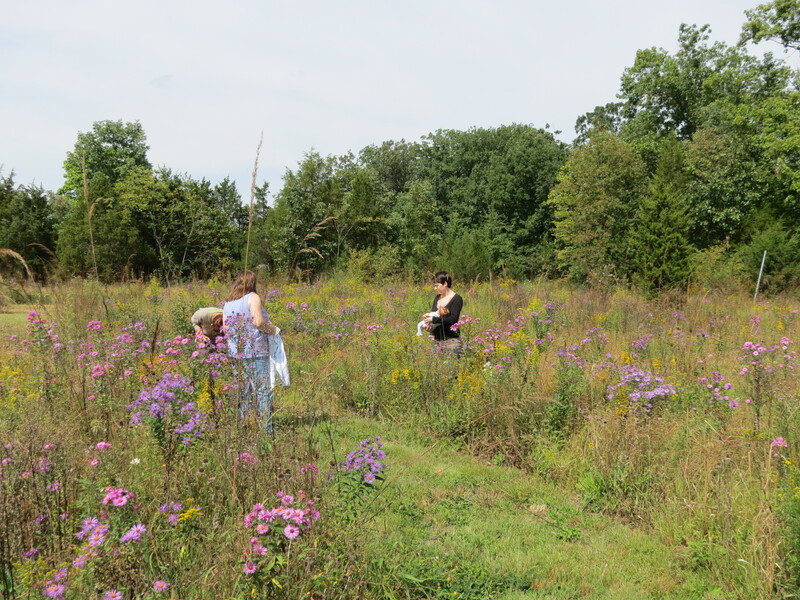 Since I had never actually attempted a project like this before, I signed up for a course at Morris Arboretum on native wildflower meadows. Good thing I did! 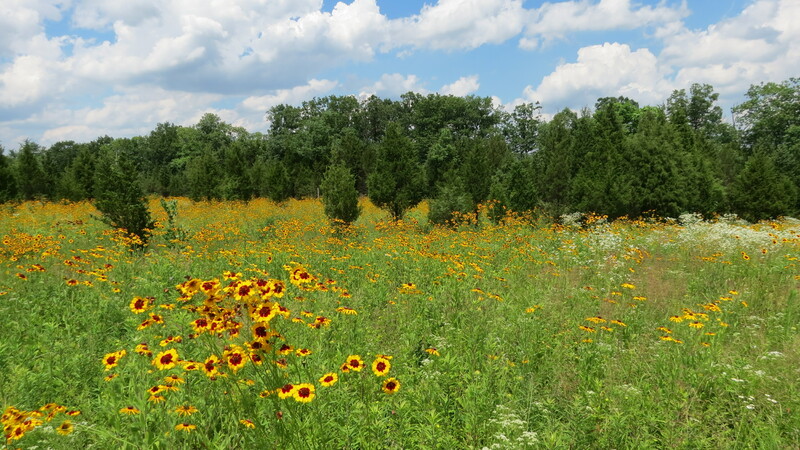 I found out that the instructor, Larry Weaner, is considered the guru of meadow design and planting. What a great education, I had no idea of the number of potential mistakes there were to make! Larry referred me to Brian O’Niell of Weeds Inc. who has a specially modified Truax no-till seed drill that is capable of planting all the varied types of seed at once. 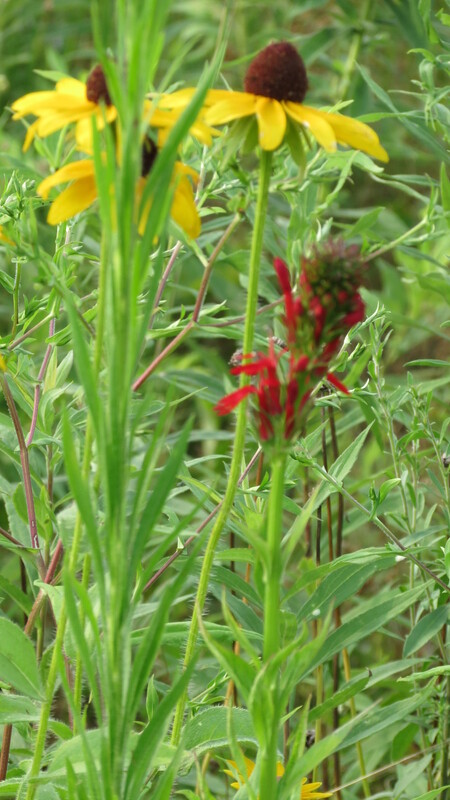 Brian advised me on the best sources of seed, and I designed a customized mixture that I thought would work well. We scheduled to have Brian do the planting work in late May, and then we had our work cut out for us to get the site ready. Supervisor Bob Yoder agreed to put out a call for volunteers from the community and he got an excellent response. So, on a sunny Saturday , a crew of enthusiastic workers dragged brush to my chipper, which ran constantly. They cleaned up as fast as my Jacobs Tree Surgery crew could cut. 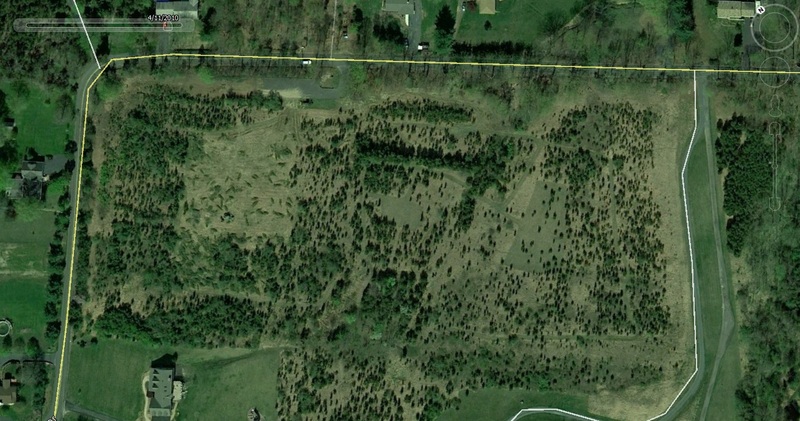 The majority of the two acre clearing job was knocked out in one day! After finishing up the clearing job, I sprayed the remaining low vegetation with Aquaneat herbicide. 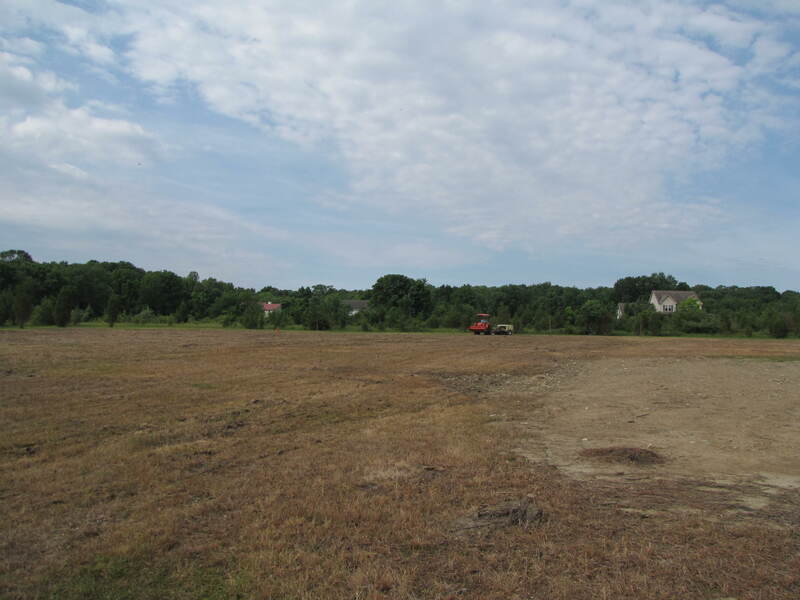 When the weeds were all dead, the township crew mowed it all down. Then, a few weeks later when new weed seedlings began to emerge, I sprayed again. The field was then ready for seeding. 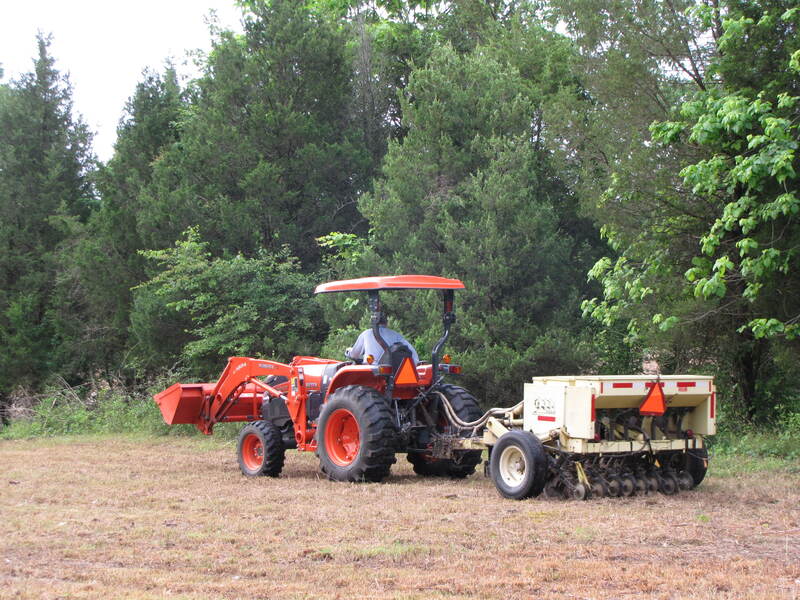 On a Saturday morning in early June, Brian O’Niell came out to the park with his Truax seed drill and planted the wildflowers and grasses. 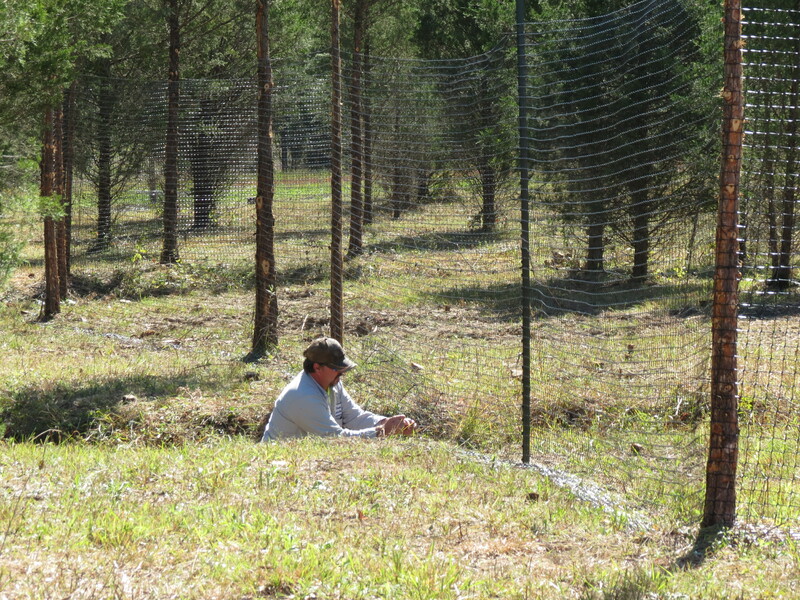 The next step was to erect the deer fencing before the newly emerging plants were vulnerable. Instead of volunteers, this time the township road crew pitched in and did the job. 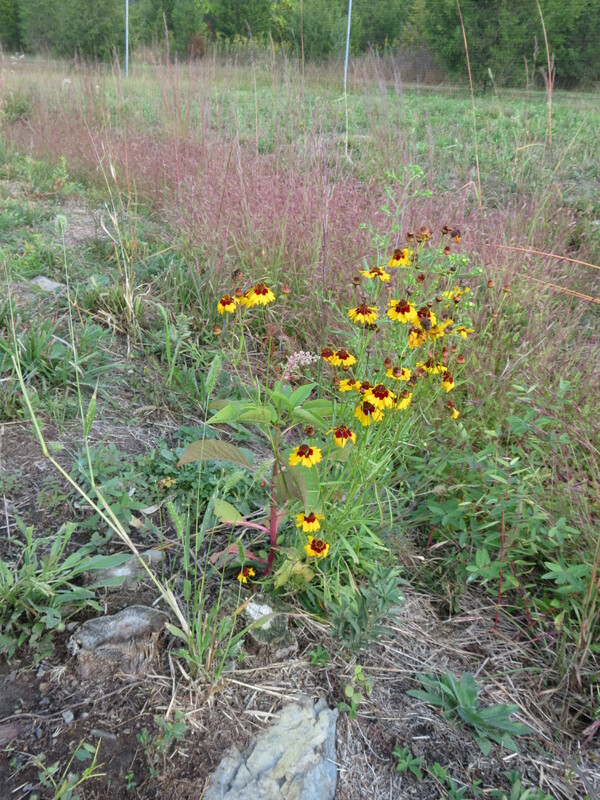 In addition to the two acre meadow area, they fenced the adjacent piece of ground where the young trees would be going. 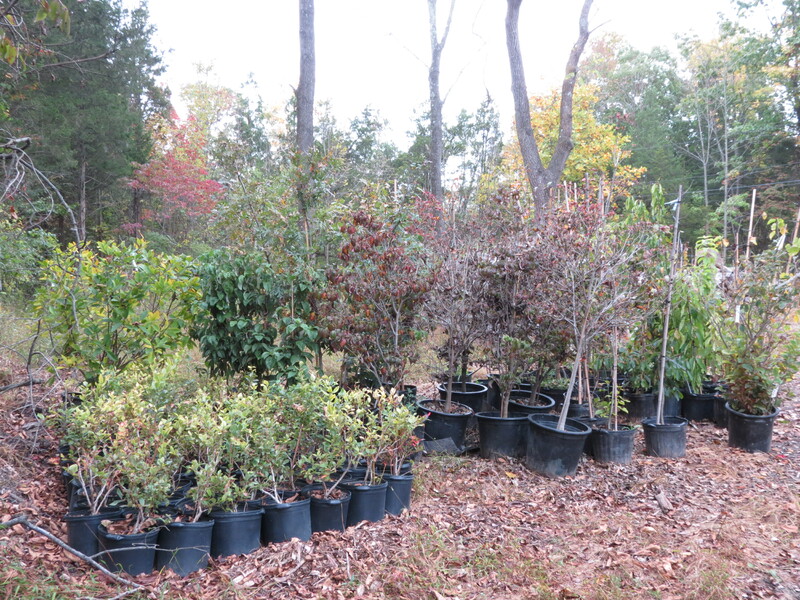 Then it was time to choose the tree and shrub species and get them ordered in time for fall planting. 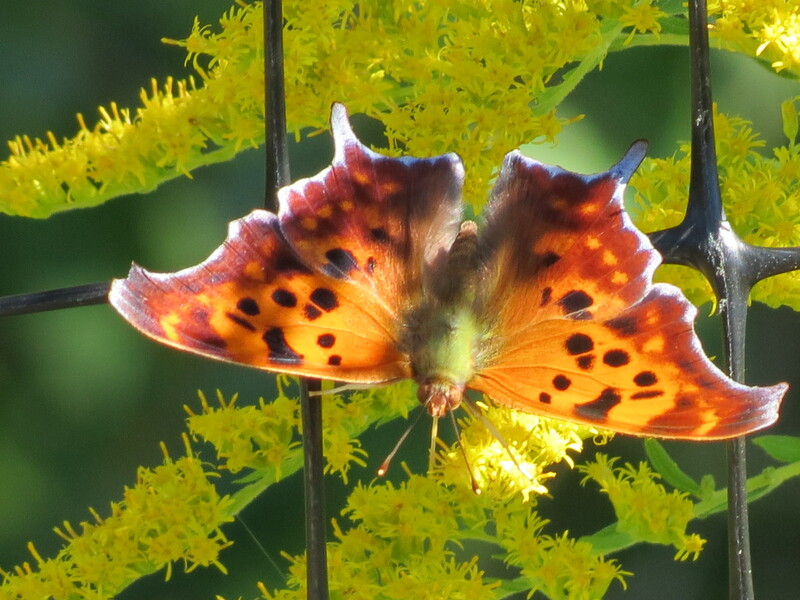 Again I wanted a diverse mix of native species, especially those that would provide food and habitat for wildlife. 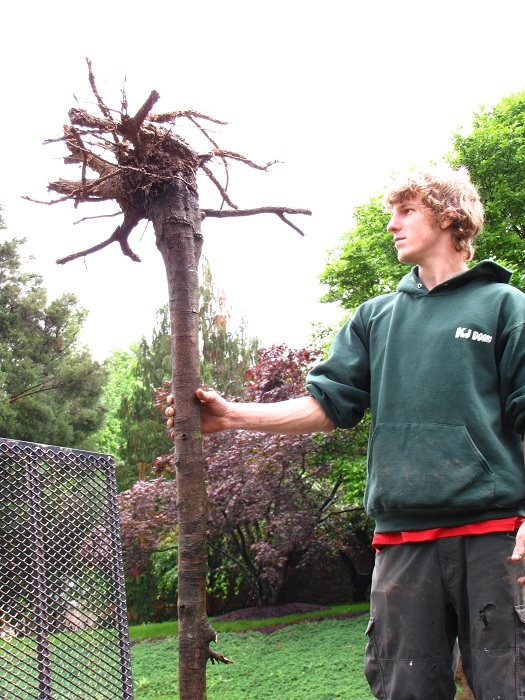 The majority of the trees- 990 of them- were mail ordered as bare root seedlings. 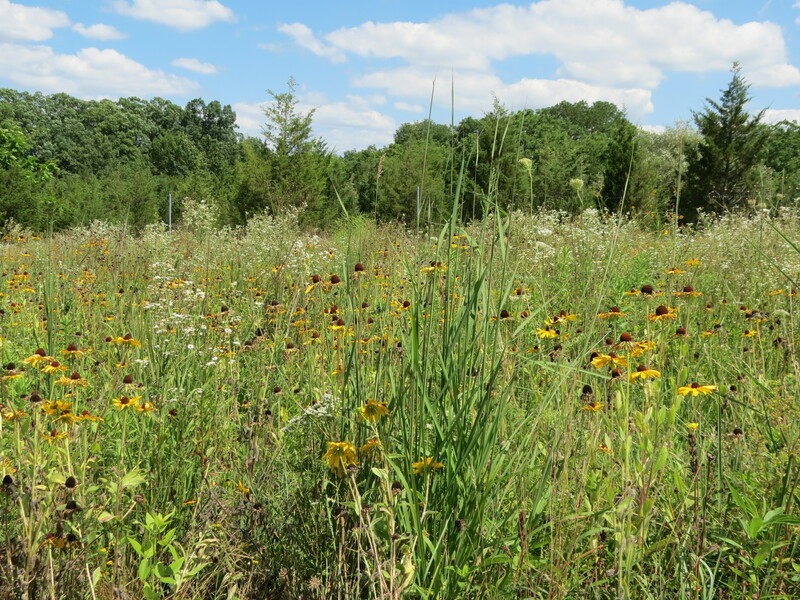 Another 214 were purchased locally from American Native Nursery in Quakertown, along with 200 perennial native wildflower plants in gallon containers or plugs. The rest – 74 trees up to about 2 inch caliper and 55 large container grown blueberries- I bought at the auction of a local nursery that was going out of business. College, and a local boy scout troop. In addition, the township crew worked for several days with a work –release crew from Montgomery County prison. With some last minute work by the Jacobs Tree Surgery crew we got it done on time. All the grant requirements were fulfilled and the township was reimbursed for the amount of the grant agreement. POSTSCRIPT We were very fortunate that the spring weather of 2013 was rainy. 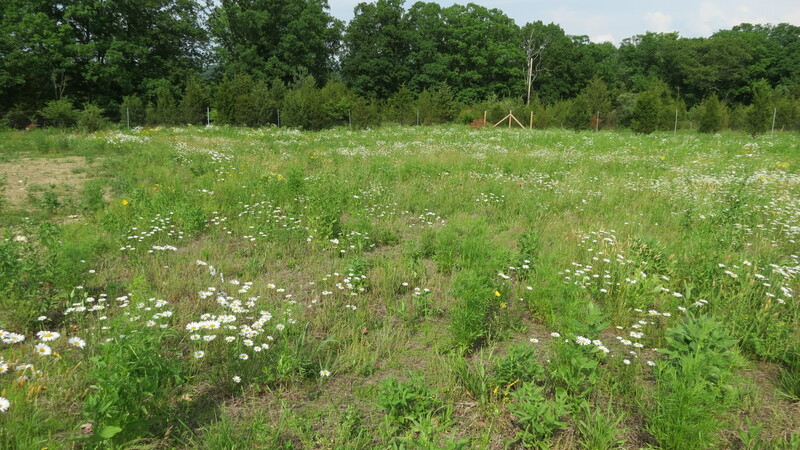 A high percentage of the bareroot plant material survived, and the meadow plants also established extremely well. 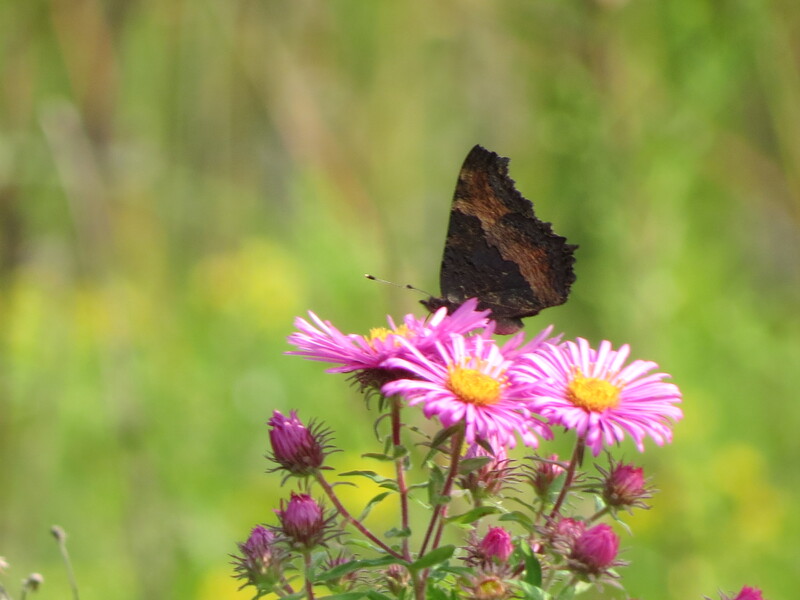 The wildflowers provided a remarkable display throughout the whole 2013 growing season, and in turn attracted a great number of butterflies including some uncommon species. 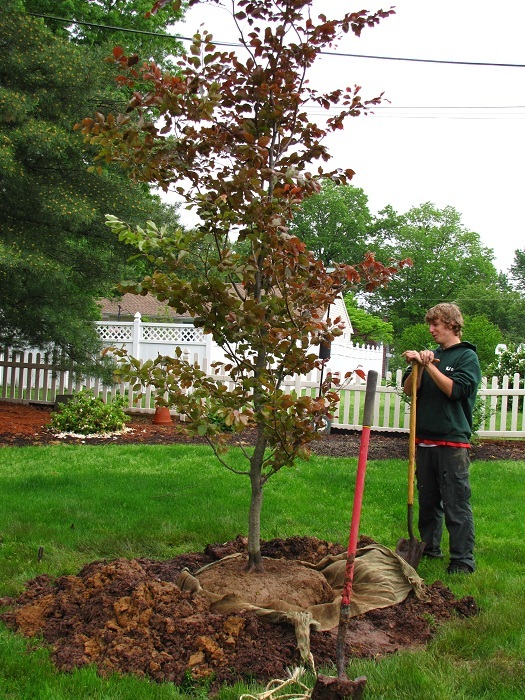 Look at the trunk flare on this nice rivers purple beech we planted this morning. 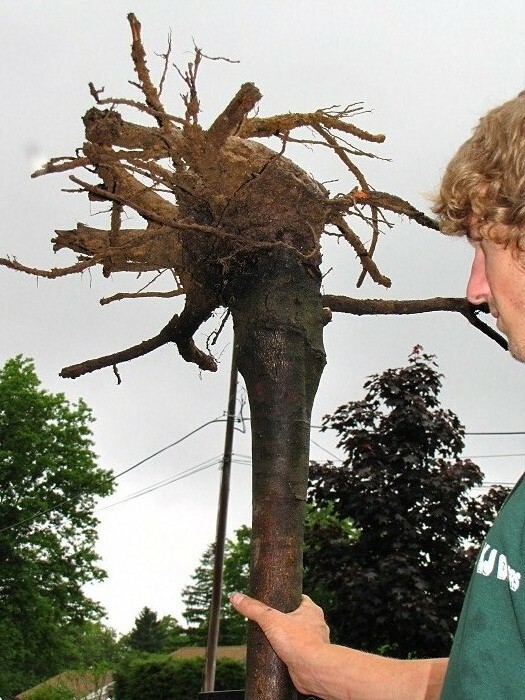 See how the roots are evenly spaced around the trunk, and they all grow outward? And the flare is ABOVE GROUND! This is how it’s supposed to be! 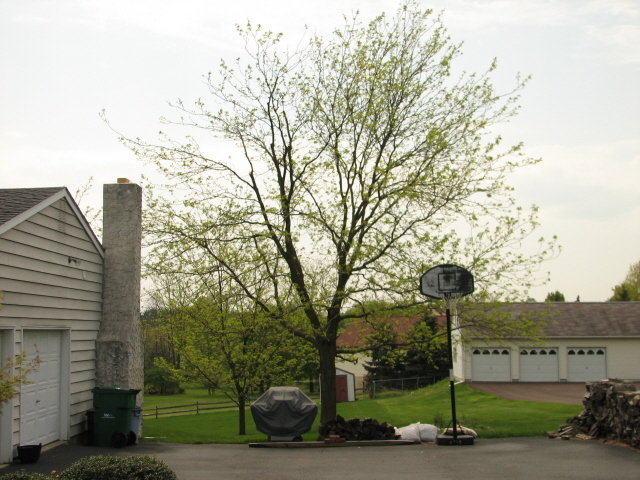 I got this tree at Watercrest Farm in West Grove, PA. It was worth the drive. Unfortunately, it’s not always easy to find really nice quality trees like this. 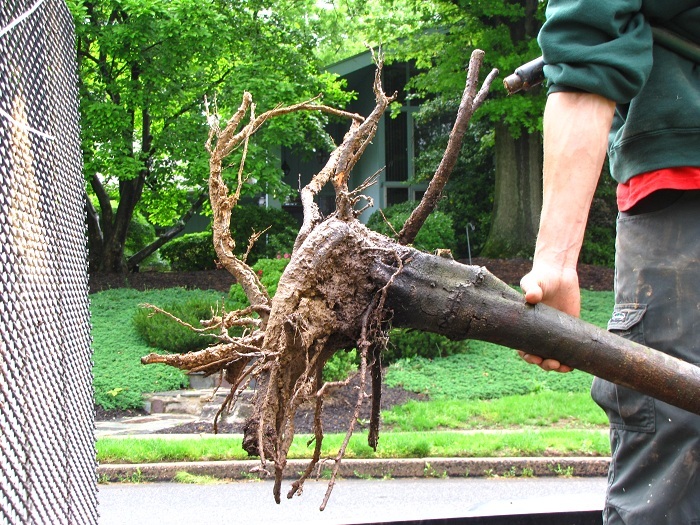 It has a TERRIBLE root system. Whoever planted it in the nursery didn’t bother to spread the roots out. See how they’re all tangled and wrapped in a circle, and all aimed in one direction? It’s nice to know that good quality trees are available if you look hard enough. 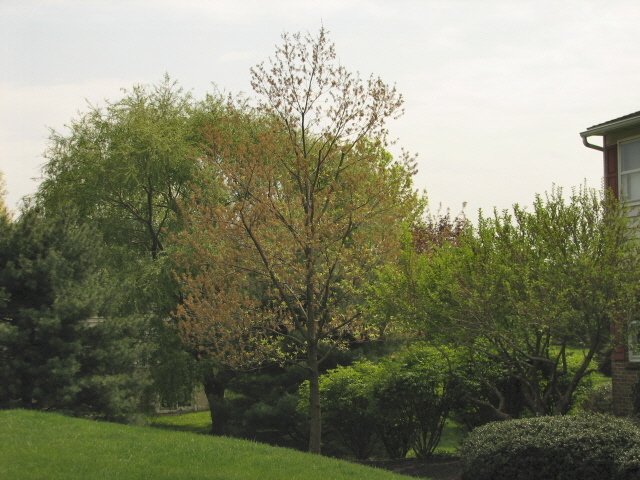 The trees in your landscape today – and their values based on condition, location, and species – are a result of decisions that were made years ago. What you decide today determines the future. With trees, you need to think long term. Here are 3 jobs we did last week and the plans we decided on. 1. 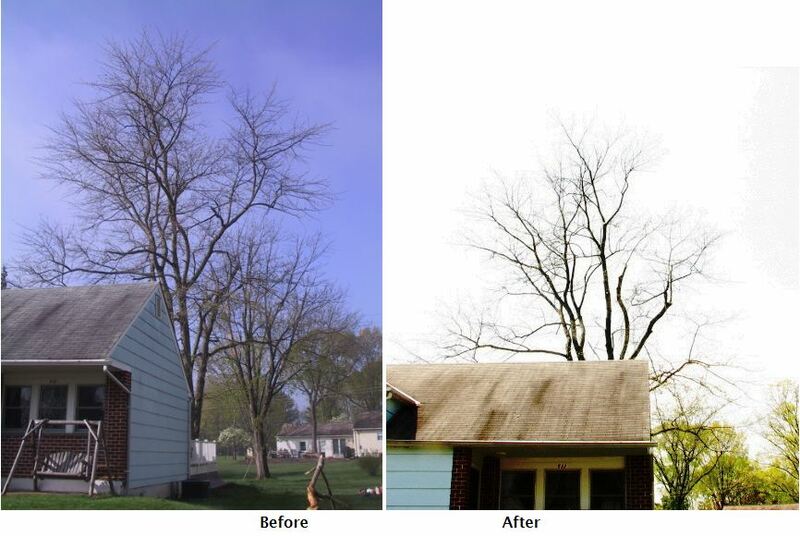 Pruning to make a (damaged) tree safer This customer had 2 silver maples in the backyard – both in poor condition. The one in the rear was in such poor health (almost dead) that removing it was the only sensible option. But the one near the house provided shade over the deck, and the owners would miss it terribly if it were gone. 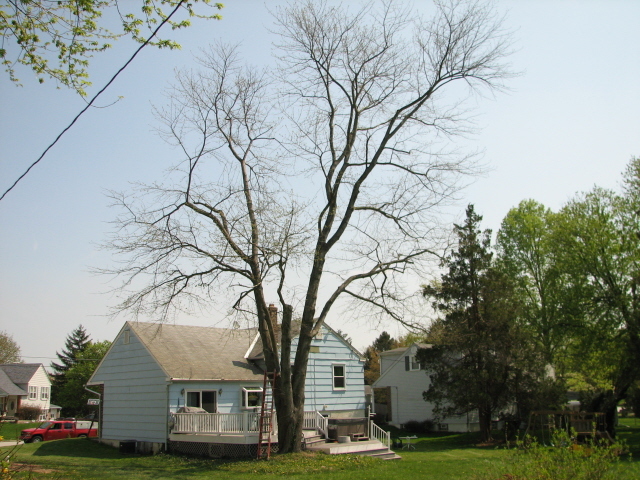 This tree had lots of problems – big broken branches from past storms, weak co-dominant branch structure, and the biggest portion of this misshapen tree hung out over the roof of the house, where if it broke it would cause plenty of damage. And silver maples are very prone to breakage. We decided to prune the tree in such a way that the new growth on the broken branches would be in a desirable direction and we pruned the big leader over the house to reduce its size. And we cleared out the dead wood. After – much less of a threat now, and it really doesn’t look that bad! Of course, I can’t guarantee that this tree won’t be damaged again. 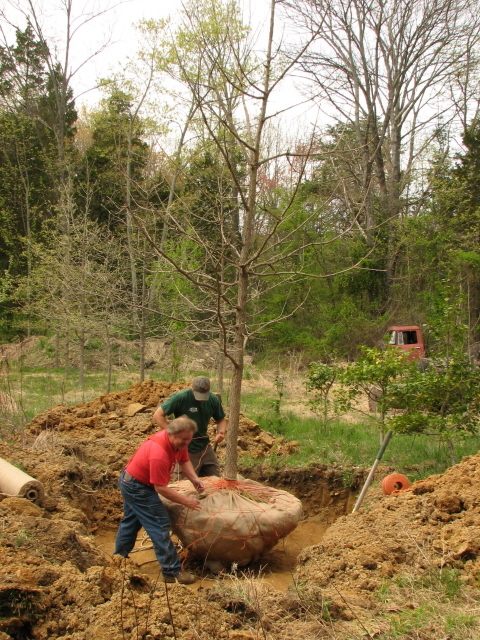 After all, it is a silver maple. But the owners should be able to enjoy it for several more years with much less concern for their safety. 2. Pruning to train for the future The next day (Thursday) we pruned several healthy young trees in Collegeville. The goal was to train them so that as they grow, they will have the strongest possible branch structure, and won’t encroach on the house as much. 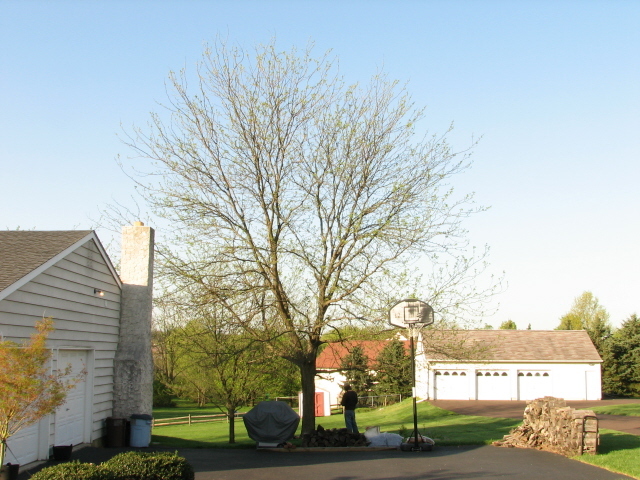 The honey locust had two main leaders, and the one towards the house had grown larger than the other. Ideally, it should have been pruned when very young to maintain a single central leader. It’s now too late for that, but we can reduce the larger leader to subordinate it and to help keep it away from the house. The tree was pruned to reduce the larger leader, without destroying its appearance and in compliance with Ansi A300 pruning standards. Also on this property was a young Sawtooth oak – healthy and vigorous, but beginning to develop several co-dominant stems. These are the upright branches with the tight-angle crotches that will be likely to split in a storm when the tree is bigger. We pruned the co-dominants to subordinate them, so the center leader will remain dominant. 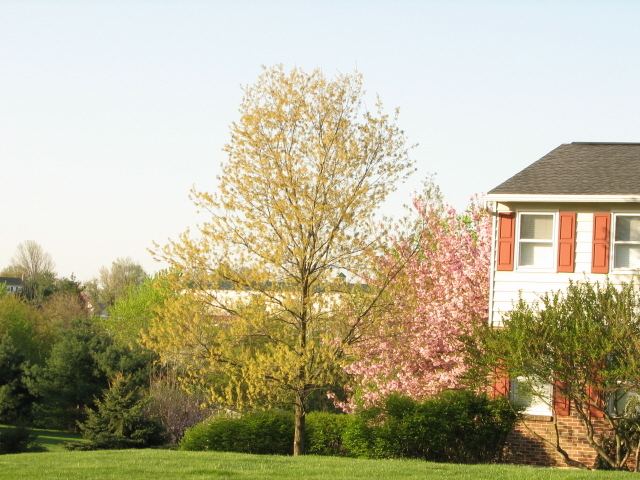 In a few years, the co-dominants can be removed or further subordinated and the tree will be much less prone to storm damage as it grows to mature size. 3. 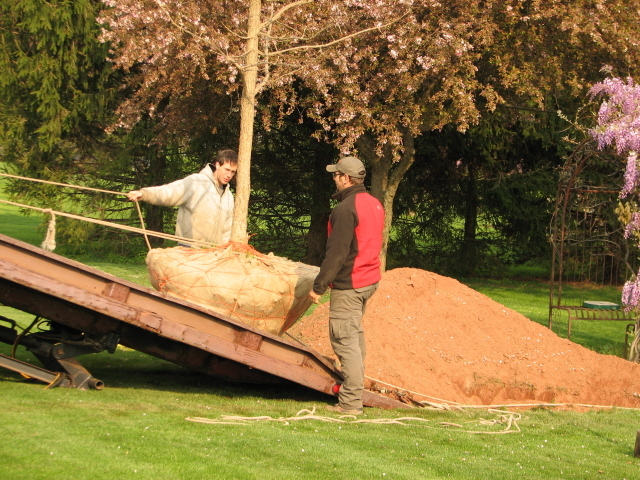 Getting the new tree started is sometimes the best plan The last big snowstorm broke a really large branch on the red maple in front of a client’s house in Limerick. The tree is on the south side of the house and the owner really appreciates its shade in the summer. 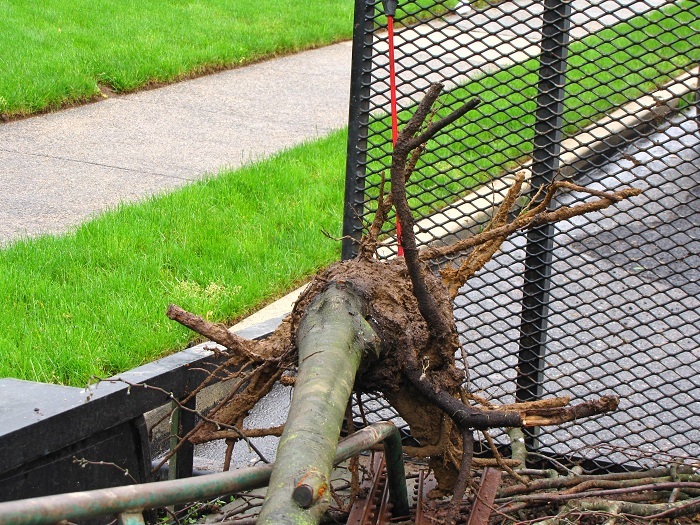 But now it’s really disfigured, and it has other problems that make it unlikely it will still be there in another 10-15 years: It has a girdling root problem due to improper mulching in the past, and it is really too close to the house. Whoever planted it did not take into consideration the potential size at maturity. 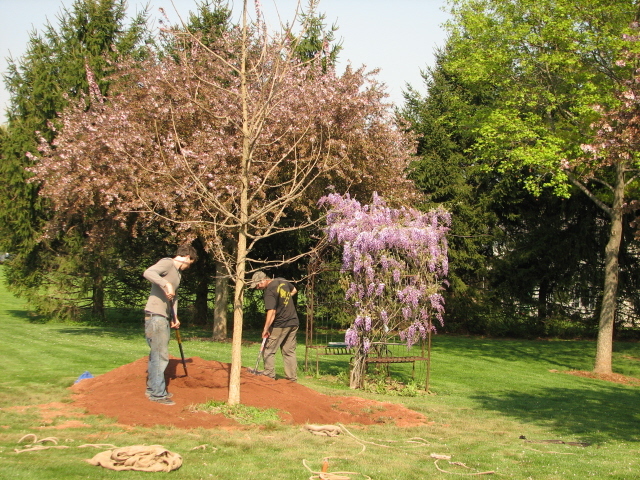 Once the client was aware of all of this, he liked my idea of getting a new tree started – a new tree that would eventually get really big, but would be planted where it had room to grow. 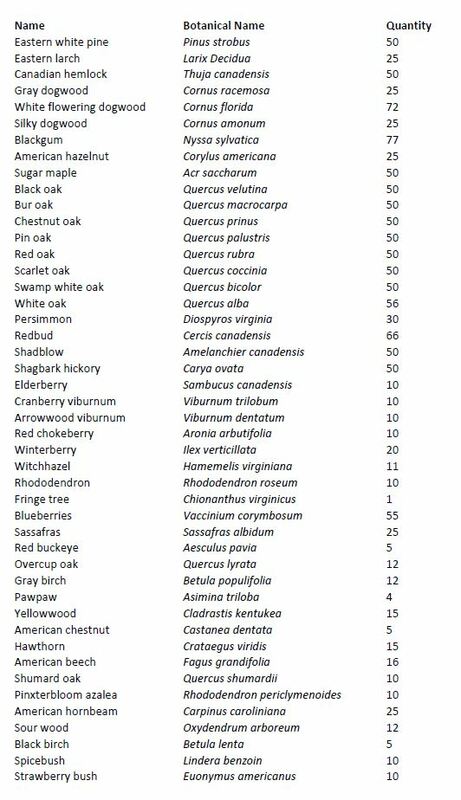 In a few years, when the red maple finally has to go, the new bur oak tree will be established and the loss will not seem so great.